Making and canning your own Pickled Three-Bean Salad is easy with this recipe! 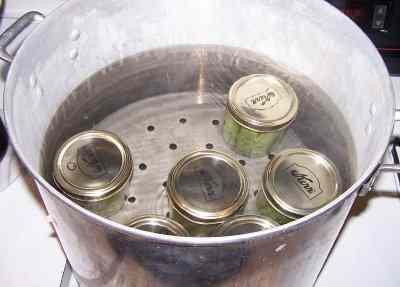 You can use an ordinary water bath canner to "can" it, or refrigerate it to eat fresh. 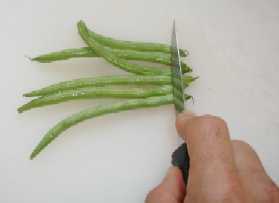 Step 1 - Wash the fresh green beans. Wash the beans under cool running water. All fruits and vegetables contain enzymes and bacteria that, over time, break down the destroy nutrients and change the color, flavor, and texture of food during frozen storage. 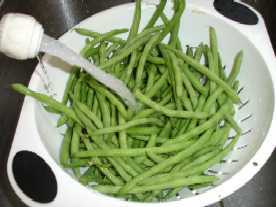 green beans requires a brief heat treatment, called blanching, in boiling water or steam, to destroy the enzymes before freezing. Blanching times for beans is 3 minutes (the duration should be just long enough to stop the action of the enzymes and kill the bacteria). 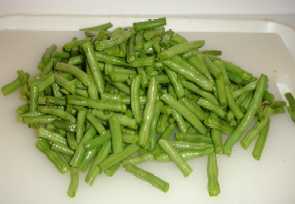 Begin counting the blanching time as soon as you place the green beans in the boiling water. Cover the kettle and boil at a high temperature for the required length of time. You may use the same blanching water several times (up to 5). Be sure to add more hot water from the tap from time to time to keep the water level at the required height. 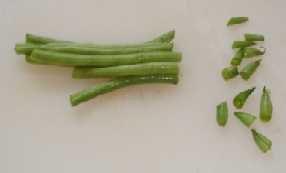 Cool green beans immediately in ice water. Drain the green beans thoroughly (this shouldn't take more than a minute). After vegetables are blanched, cool them quickly to prevent overcooking. 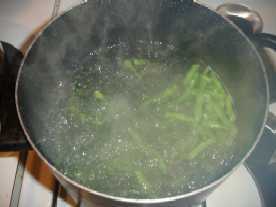 Plunge the green beans into a large quantity of ice-cold water (I keep adding more ice to it). A good rule of thumb: Cool for the same amount of time as the blanch step. 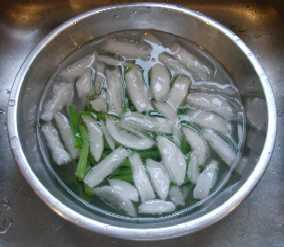 For instance, if you blanch sweet green beans for 7 minutes, then cool in ice water for 7 minutes. Rinse the kidney beans with tap water and drain again. in a pot and bring to a boil. Remove from heat. Add the beans, onions, celery and green pepper to solution and bring to a simmer. Let the mix cool to room temperature (about 1 hour) then refrigerate to allow it to marinate for 12 to 14 hours. Heat entire mixture to a boil. Get the canner heating and make sure your jars are clean (they need not be sterile, as the canner will do that). Fill clean, hot jars with solids. Add hot liquid, leaving 1/2-inch headspace. Remove air bubbles. Wipe jar rims. Adjust lids. 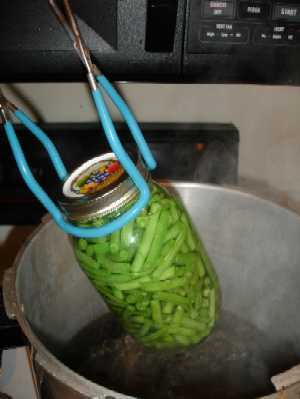 Using the jar tongs, put the pint jars in the canner and keep them covered with at least 1 inch of water. Keep the water boiling. Boil them for 15 minutes. Remember to adjust for altitudes and larger jars - see the table below!